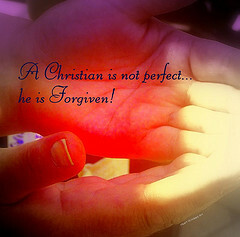 Christians Are Not Perfect: We are Forgiven! | Smile, God Loves You! 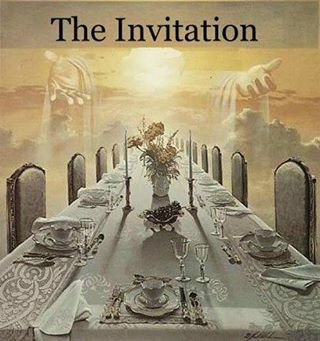 As we travel forward in our Christian walk we realize that not everyone along the way is in the same place as we are in our personal relationship with God. Some will be brand new Christians and others will have a mature walk with God. Some were once back-sliders, but are now back on the path, while still others need to be prompted to get back on. There are those who are abundant in love and radiate in peace while others are still focused more on the law than on His grace. Some will have a shallow understanding of the scriptures while others have a deep understanding of them. We have all come from assorted backgrounds and been brought through different circumstances, and we all have our own mountains to climb, but the one thing we have in common is that we are forgiven! We have all sinned, regardless of what we’ve done, and be it big or little there is no difference to God. Sin is sin and it will separate us from God. 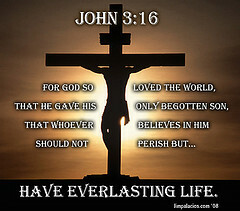 That’s why He gave His own Son to be a sacrifice for us. He wanted to take the sin from us and bear the punishment of it for us so that we could get rid of the sin and stand holy before Him. But we’re not holy on our own merits. We are only holy because the blood of Jesus covers us and has taken away that sin. And when we accept His sacrifice and turn away from the worldly sins, we are forgiven and we become children of God. We are forgiven! We have been redeemed back to God and every sin we committed before we accepted Jesus as our Lord and Savior was forgiven. The record has been washed clean and God doesn’t see it anymore. We now live under grace. We are no longer under the law and sin can no longer hurt us. Without God’s forgiveness we have sin in us, and when we commit one sin, one felony or offence – a single transgression against the law – then we commit sin against God. 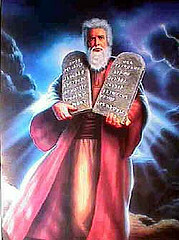 He gave us the law through Moses and it’s known as The Ten Commandments as set out in Exodus 20:3-17. If it were possible for any person to live one hundred percent according to this law and never once waiver even in the slightest bit throughout their entire life, then they would not have sin in them and they would not need a Savior. But The Bible says in Romans 3:23 that “we have all sinned and fall short of the glory of God,” so we know that it is impossible to live without sinning. This means that every person has sinned and therefore, deserves to suffer the punishment for their sins. But God loves us with a love so great that few people can really comprehend it. It grieved God terribly to have been separated from Adam and Eve because of sin. It was His plan then to take that sin away from them and from every person ever born because He knew the punishment of sin. He made the world; He made the law and it stands. The “death” spoken of here doesn’t refer to the death of our earthly bodies when we leave this earth. It’s speaking of the second death that will come to those people on Judgment Day who are found with sin in them, and the punishment will be a complete separation from God forever. Jesus is the only person ever to have lived a totally sinless life. He was born of a woman, but His father was God and God is Holy, so Jesus was Holy. He was not born of a man and did not inherit the sin of Adam as the rest of the human race did. Jesus died on the cross and took upon Himself all of our sins so that everyone who accepts it will be forgiven and will live under the grace of God. This means that if during our Christian lives we do something that we know is wrong, we can come to God immediately and ask Him to forgive us and He will not only forgive us, but He’ll erase it from our record. We are forgiven! We live under the grace of God and as we grow and pray and study the Bible and worship the Lord, we become more and more like Him through the Holy Spirit in us. But every Christian won’t be like us. We shouldn’t judge them or put them down, but instead we need to show the love and grace of God toward them. We need to pray for them and teach them at their level so they can see God from where they are. The Christian life is wonderful when we see others through the eyes of Jesus and not through our own ideals. There are many people around us who aren’t Christians, but who watch us and who deep inside want to know God. We need to treat all people with love and compassion, using only scripture as a benchmark and God’s love and grace toward them so they can see Him. But we also need to tell them about His judgment for those who still live in sin so they’ll know why they need to repent. The only difference between Christians and people of the world is that we are forgiven and His Spirit now lives in us. And for this we are eternally grateful! Thank you, Jesus! ← Being Blessed is Everything!